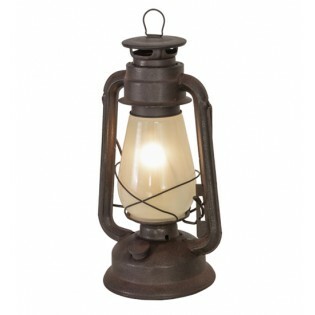 Traditional, functional and ornamental, the Miners Lantern recreates an old world style from the early 1800s. 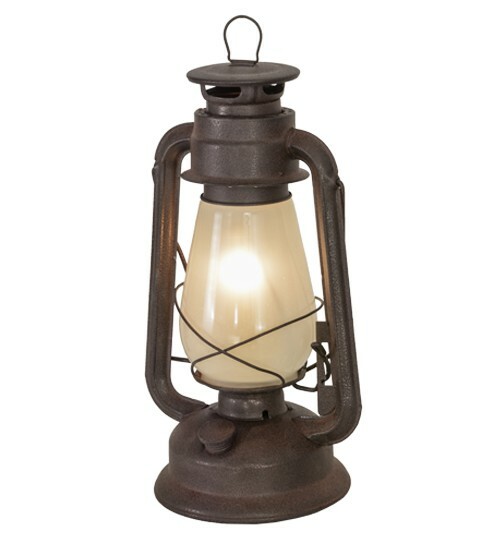 This handsome crafted lamp makes a wonderful decorative accent for the home, office, restaurant or commercial environment. 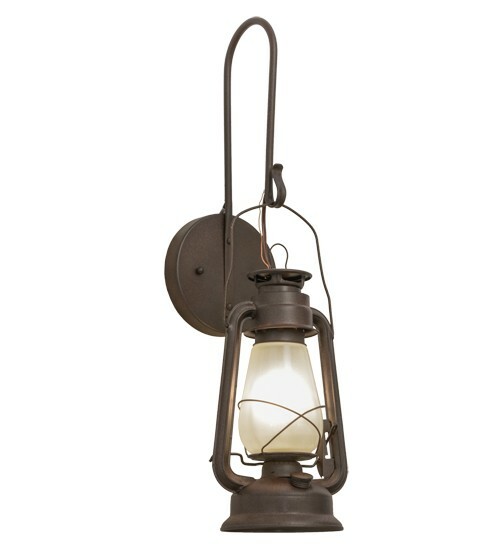 The hardware and decorative accents are finished in a Distressed Rust with a Clear Frosted glass diffuser. 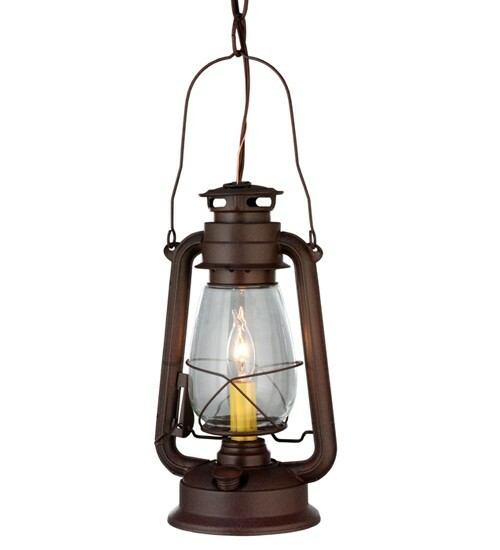 Custom crafted in the USA.